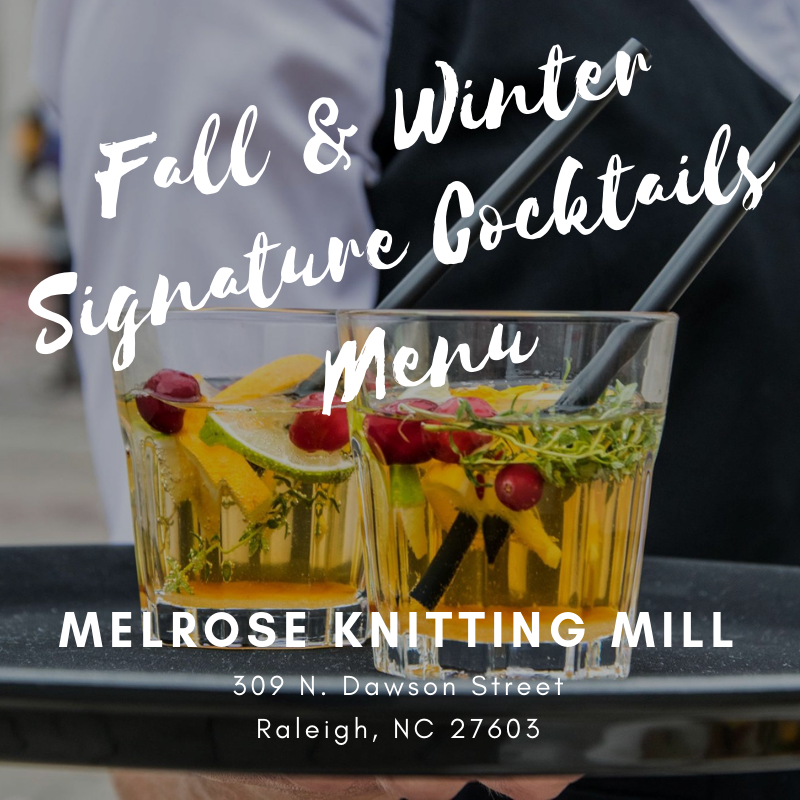 At Melrose Knitting Mill, we have a signature cocktail for everything but some of our absolute favorites are on our Fall & Winter Signature Cocktails Menu. We have something for the vodka drinkers, rum enthusiasts, dry gin sippers, and more. We offer packages for just beer and wine if you’re not sure about serving liquor for the entire duration of your event. Additionally, we can host a cocktail hour for you where guests will only be able to order your signature cocktails during that time. We can’t wait to show you everything Melrose Knitting Mill has to offer! We would love to give you a tour of the property. Please fill out our online form and we will be in touch with you as soon as possible to schedule a day and time for you to come by. We look forward to meeting you! Thank you for visiting our website! While you are here, be sure to check out our photo gallery for ideas and inspiration for your big day. We are excited to have the opportunity to host your wedding at Melrose Knitting Mill.